First up is a little somethin’ for the trend warriors. USD/JPY is about to hit the 112.00 major psychological handle, which is right around a 50% Fibonacci retracement, rising trend line, and 100 SMA on the 1-hour time frame. Will we see a bounce from the area today? A long trade is a good idea if you think that the pair would make new highs some time this week. If you’re one of them forex bears though, then you can also wait for a break below the Fib retracement areas before shorting the Greenback like there’s no tomorrow. Here’s another one for the trend junkies out there! 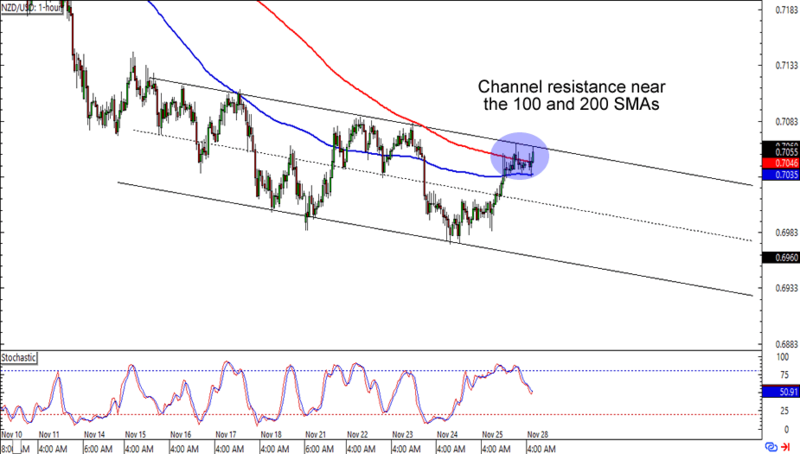 NZD/USD is knocking on the .7050 mark, which is right smack at a falling channel resistance on the 1-hour time frame. What makes the minor psychological level more interesting is that is also lines up with a 100 and 200 SMAs on the chart. Shorting at the earliest signs of bearish momentum is a good idea if you’re betting on the Kiwi revisiting its .6950 lows. Of course, you could also wait for an upside breakout and go for a long trade if you think that the SMAs are about to signal a trend reversal. Last one up for this batch of charts is an easy peasy range trade on EUR/CAD’s daily chart. 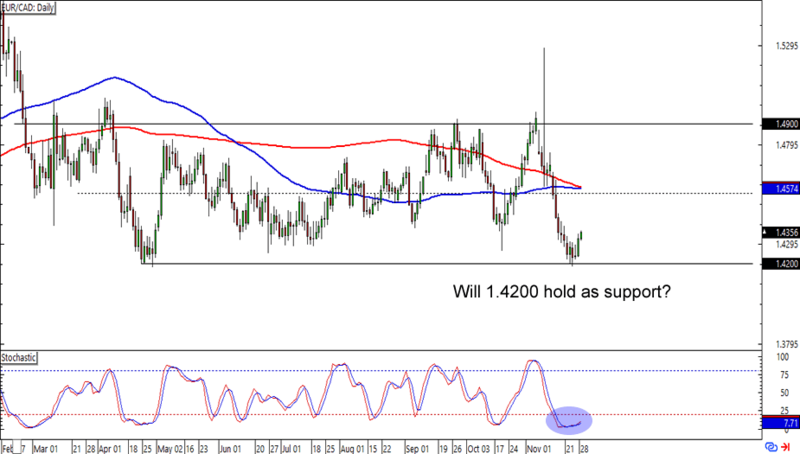 The pair is showing signs that it has bounced from the 1.4200 major psychological level, which was also an area that had held as support back in April. This time around an oversold stochastic signal is throwing its weight in favor of the bulls. Think the euro is about to bounce against the Loonie? 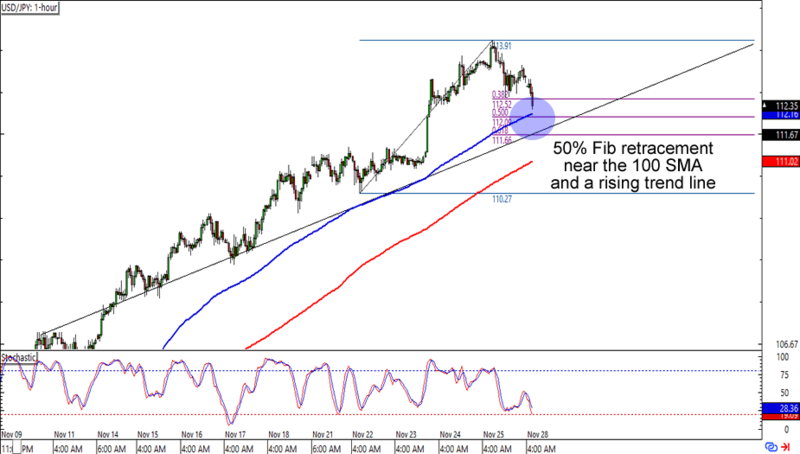 Read up on trading ranges like this one if you haven’t tried it yet!